President Michel Martelly and Prime Minister Laurent Lamothe have decided to dramatically raise government-fixed fuel prices in Haiti over the next six months despite the plummeting price of oil on the world market and the Haitian Senate’s refusal to approve their budget for the 2014-2015 fiscal year. The price hikes, announced by Finance Minister Marie Carmelle Jean-Marie, took effect on Oct. 10, 2014 and will rise in three or four increments. According to the proposed budget still not approved by the Senate, a gallon of gasoline will rise from its current cost of $4.38 (200 gourdes) to $4.70 (215 gourdes) until December; in January 2015, it would jump to $4.99 (228 gourdes); finally, during February and March 2015, it would be set at $5.32 (243 gourdes) a gallon, a 21.5% increase overall. A gallon of diesel over the same time period would increase from $3.54 (162 gourdes) to $3.87 (177 gourdes) to $4.03 (184 gourdes) and finally to $4.20 (192 gourdes) in March 2015, an 18.5% increase. Kerosene will rise from $3.52 (161 gourdes) a gallon to $3.74 (171 gourdes) to $3.92 (179 gourdes) to $4.05 (185 gourdes) in March 2015, a price hike of 14.9%. Taken all together, the Haitian government will raise the fixed price of fuel on average 18.3% over the next six months, although the price for a barrel of oil has fallen from $104 a barrel in June to about $81 a barrel today. Ironically, since 2008, Venezuela meets most of Haiti’s petroleum needs under the PetroCaribe contract, whereby Haiti pays about 60% of its oil bill up front, while the remaining 40% can be paid over 25 years at 1% interest. Despite this advantageous deal, the Martelly/Lamothe government, rather than passing on the savings, is in effect taxing the Haitian people to raise revenues to fund their corruption and profligate ways. In general, the fuel price hike will further impoverish the Haitian people and degrade Haiti’s environment. Already, 70% of the population lives in extreme poverty; 75% to 80% are in the chronic and endemic unemployment; minimum wage workers earn less than $120 a month working 40 hour weeks; and more than five million Haitians, half the population, are food insecure. All indicators of the Haitian Institute of Statistics and Information (IHSI) show the cost of household food basket is increasing. The rise in petroleum prices will be a heavy burden for the Haitian masses, who already live in abject poverty. The soaring cost of petroleum-based fuels will force many people to turn to lower cost charbon, which is charcoal made from trees. This will accelerate deforestation in a country which has already lost more than 98% of its forests, resulting in desertification, erosion, and flooding, particularly of poor urban neighborhoods as happened recently in Cité Soleil as well as Tabarre. The cost of transit on Haiti’s colorful tap taps, taxis, and buses, fixed by the government, will also rise. 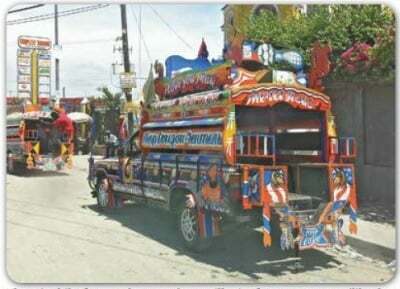 The public transport drivers’ union is already preparing a protest against the government’s fare hikes. Ironically, in 2003, as the U.S. government (with the support of the then konpa singer Michel “Sweet Micky” Martelly) was fomenting a coup d’état against the government of President Jean-Bertrand Aristide, the cost of gas was about 60 gourdes to 70 gourdes a gallon. There was not yet any cheap PetroCaribe oil flowing into Haiti. But the Haitian government subsidized the price of gas to alleviate the misery of the masses. Today, the forces which collaborated in the 2004 coup d’état are in power and the cost of living in Haiti has quintupled. People are living in increasingly desperate poverty and fleeing the country in record numbers to seek work elsewhere. Senator François Annick Joseph of the Artibonite, who is with the Organization of People in Struggle (OPL), says that the Martelly/Lamothe government has no concern for the population. He has called on Venezuela to revise the PetroCaribe agreement so that the funds generated by it are not misused by the government, whose officials are merely enriching themselves at the population’s expense.